Why do you need to do this? The fact is that it does not matter where you got this or that plugin and theme. Rather, in fact, it is important. However, even downloaded plug-ins from the official repository can have versions that contain various vulnerabilities. That is, using such versions on your site is not safe. This undermines the protection of WordPress. It is worth saying that manually each time to verify the vulnerability of WordPress and its components does not make sense. We need a tool that will automatically check the versions every day and contact the common vulnerability database. If there are any unpleasant moments, it should send us notifications with a reason to remove malware and vulnerabilities. Nevertheless, security researchers regularly find vulnerabilities in both the main WordPress code and in its numerous plug-ins, the themes of the design. 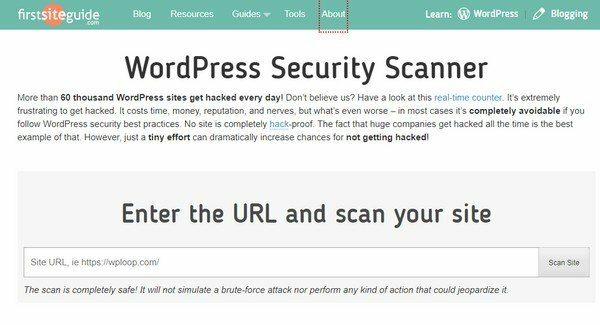 This means that you do not need to scan WordPress for general purpose vulnerability search, but for a specialized program. The daily scan can find some security issues early and stop your website from getting hacked. Unauthorized user access to your site may affect your bandwidth, even without your knowledge. You may have sensitive personal information entered by the user that you need to protect from hackers. Your website could get blacklisted by Google due to these vulnerabilities and malware. Your associates can place redirects, backlinks, advertisements of websites that they want to promote on your website that you need to protect. Following are the list of free tools to check WordPress vulnerability online. WPscans check your website with their intelligent scanning algorithms and generate all known bugs and security vulnerabilities that contain more than 4000+ vulnerabilities. It also identifies the themes and plugins you use and check the versions in its bug database. 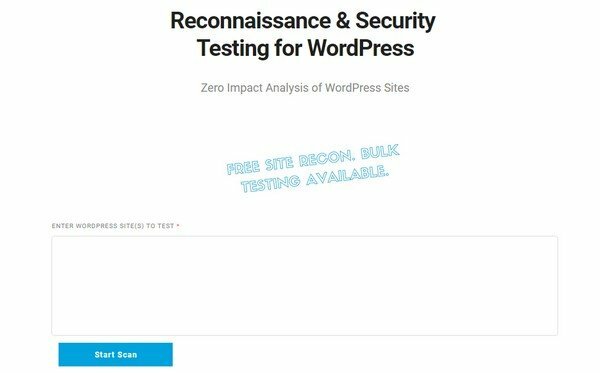 WordPress security scan will analyze the WordPress website for security applications, plugins, themes, hosting and web server. It will also scan and load several pages from your website and perform an analysis on bad HTML code. 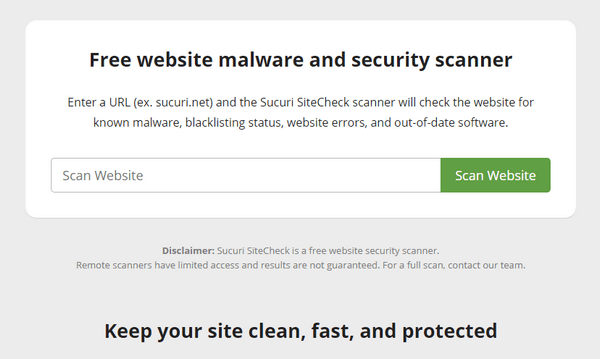 Securi SiteCheck is a free and remote scanner. Although it does its best to ensure the best results, an accuracy of 100% is not guaranteed. It will scan your entire website and provide protection on your website. Sucuri checks your website for vulnerabilities and also provides reports on vulnerable plugins and themes. 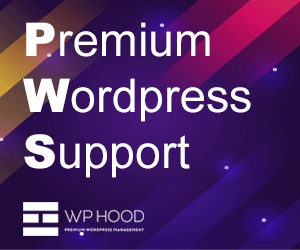 WPrecon provides time and security monitoring for WordPress. 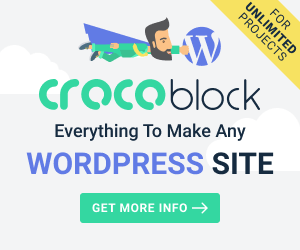 Specialized monitoring of WordPress websites against active plugins, themes, Google malware scan, Google safe browsing, linked JS files, external links, linked iframe, and directory index. It will inspect your website and send a warning if something goes wrong. WPloop checks your website for unnecessary information on failed login attempts, themes, plugins, meta tags, response headers, readme HTML, and all the files in WordPress and gives a complete report on vulnerabilities. WP Plugins Vulnerability Detector checks your website for any possible vulnerability and malware. It provides complete security scan to get rid of hackers. This tool helps you protect your WordPress themes, plugins, and content. It also detects SQL injections, PHP file requests, and brute force attacks and gives complete protection against it. This detector tells its user about any potential threats and vulnerability and suggests some useful tools to protect the website. WP Neuron scans WordPress vulnerabilities in plugins, themes, core files, and libraries. It also calculates the weak passwords to test the brute force attacks and scan all the files to make sure that all the scripts are secured from threats. 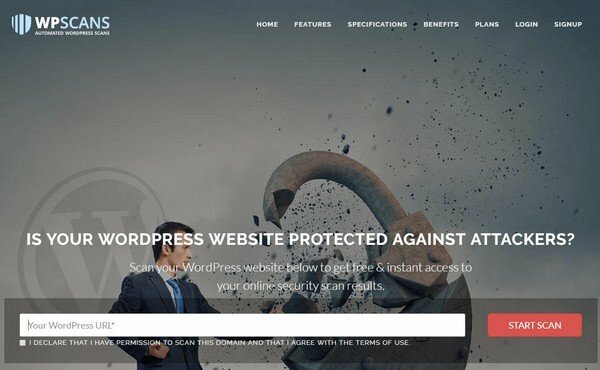 Acunetix provides complete vulnerability scan for WordPress websites. It tests your website for SSL, SSRF, DOS, XSS, header, SQL injections, plugins, themes, core files wp-config.php, weak admin password and many more. It also provides a complete report on vulnerabilities and recommendations on how to fix it. 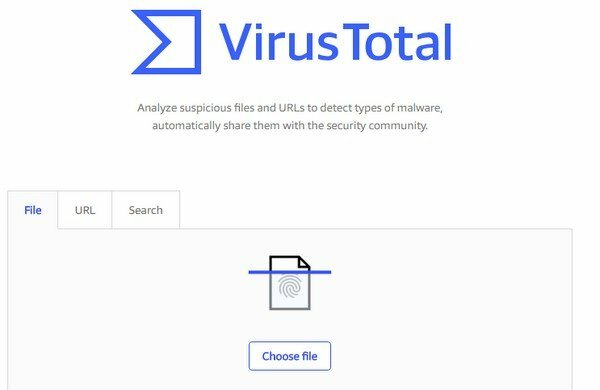 Virus Total is a subsidiary of Google which provides complete security scan for your website. This tool not only checks WordPress but also other websites for vulnerabilities. 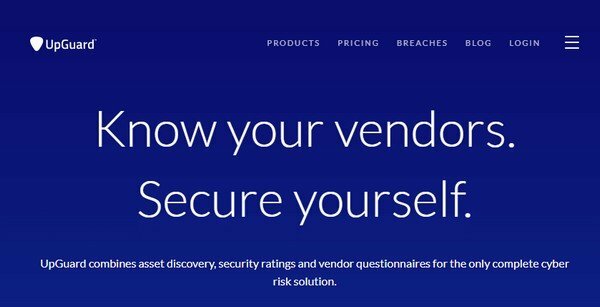 This tool checks your website for any possible security threats to your website. To make websites more secure Virus Total share the threats and malware it found on the submitted websites with the security companies. Upguard runs all the scans for the website and also checks the header, info, scripts, meta tags, SSL, communication services and DNS, and Google safe browsing. This tool also checks for vulnerable themes, plugins, breaches, domain expiry, emails, database, SSL strength, administration, user authentication, file sharing, and much more. Pentest-Tool is also a vulnerability scanner which also gives you complete report in PDF format. This tool detects all the issues and threats in your website. Web Inspector provides users complete vulnerability scan service which includes malware downloads, blacklist checking, trojans, malicious virus, phishing, theme and plugin vulnerability, suspicious iframe, and activities. It also shows e-commerce safety details. It always a good idea to take precautionary measures to protect your website. I will provide you a security checklist to secure your WordPress website from hackers. Use email address to log in your site. Limit login attempts to prevent brute force attack. Set strong password to make your website more secure. Regularly update your website and also update themes and all plugins. Delete unwanted themes and plugins. Secure the wp-directory of your website. Migrate your website to reliable VPS host. Website security is a very big issue and vulnerable themes and plugins give the gateway to the hackers to attack your website. Always protect your website from vulnerabilities to make it more secure. 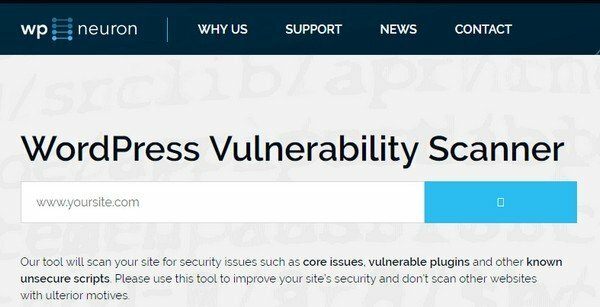 In this article, I have shown you some tools where you can check your websites for vulnerabilities and I have provided you with a checklist of how you can secure your WordPress website. Haris Akram is a content writer and WordPress enthusiast. He is a content writer at fixmysitepro.com He writes about the user’s problem that they face in WordPress.